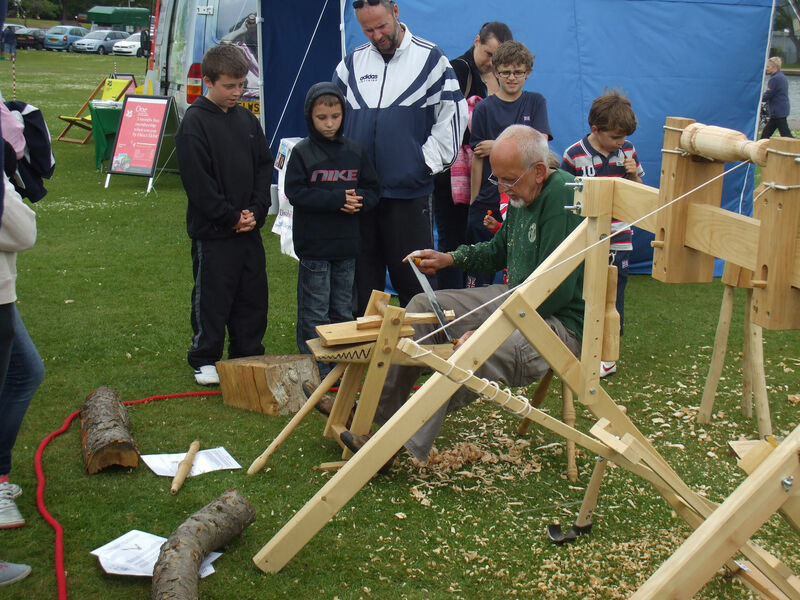 Slades Farm Sports & Talents Festival was held at the Slades Farm open space from Thursday 11th to Sunday 14th July 2013. 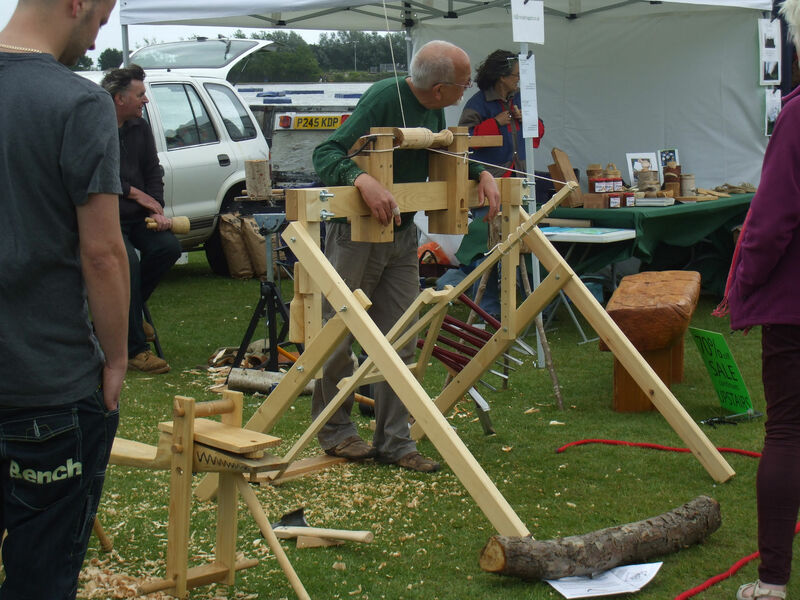 Organised by the Wallisdown & Winton West Area Forum and Friends of Slades Farm the aim of the festival is to bring the local Community groups and individuals together to celebrate their talents. 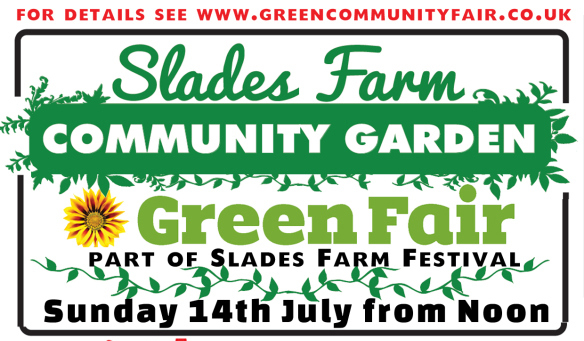 The Slades Farm Community Garden is a one of these community projects and helps create a sustainable wildlife friendly community garden and carry out conservation activities. 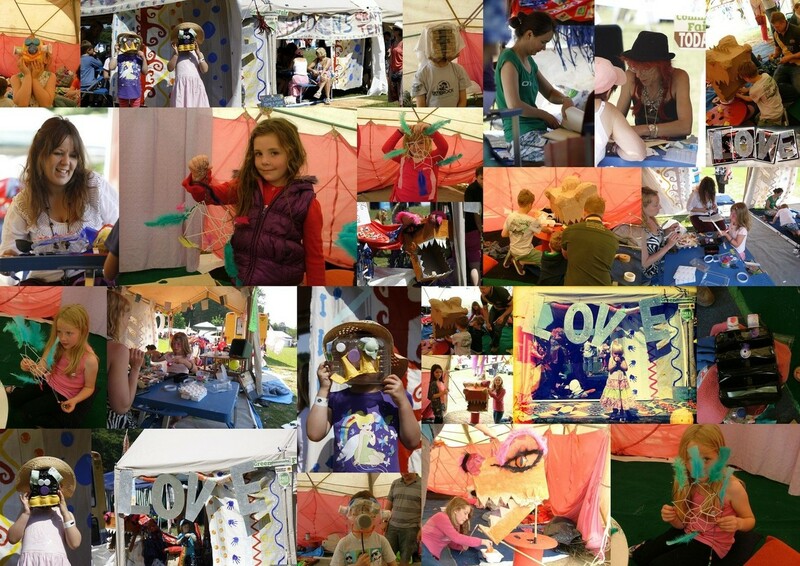 The main Slades Farm event included Live Music Stages, stalls, a sports festival and Charles Cole Funfair. 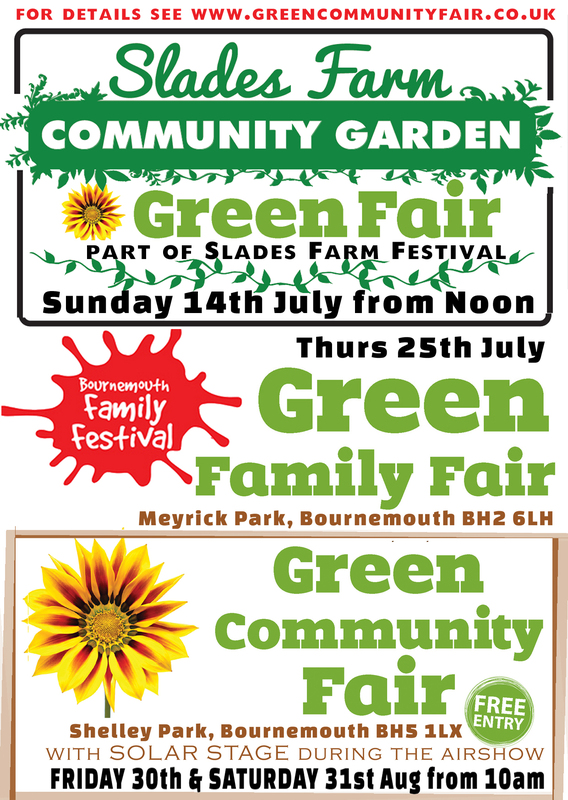 On Sunday 14th July as part of the Community Day there was a Green Fair in and around the Community Garden. 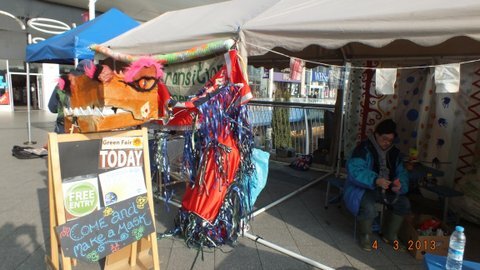 Free activities at The Green Fair include ‘Fun with Nature’, African Drumming and Art Workshops funded by ‘Green Goals’ using recycled materials to make Masks and Giant Bee Puppets. Volunteers provided guided Plant and Tree Walks, willow weaving, a green wood working demonstration and Community Garden Tours. 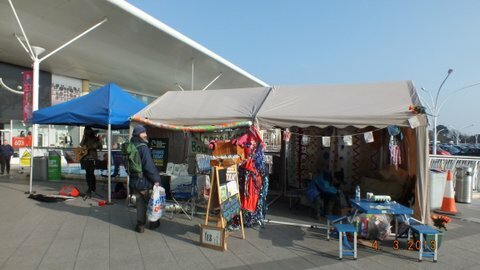 There were also local traders, producers and makers selling eco-friendly, hand-made or fairly traded products. 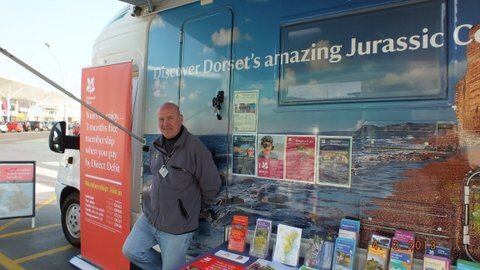 The Navitus Wind Park on of the sponsors for this year’s Green fair events and their exhibition was alongside other inspirational and informative displays from local and national charities, campaigns and groups. Our Sponsors were local firm LED-ZIP who provide hi-powered energy efficient LEDs and can save people up to 90% on their lighting bills and award winning Bournemouth based installation company NPGS Ltd showcased their renewable energy technology. The Green Community Fair ran the Green Family Fayre area at Bournemouth Family Festival on Thursday 25th July 2013 at Meyrick Park and the main ‘solar powered’ event sponsored by Navitus and The Co-operative Membership took place at Shelley Park and Theatre on Friday 30th and Saturday 31st August at the same time as the Bournemouth Air Festival. 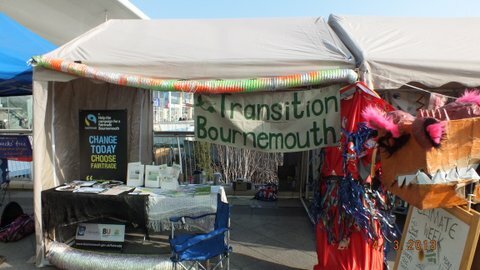 The Green Community Fairs are organised for the Community with the help of volunteers and in conjunction with the Transition BH Hub who are groups of people living in Poole, Bournemouth, Wimborne, Christchurch and surrounding areas starting ‘Transition Towns’ initiatives for the environment. 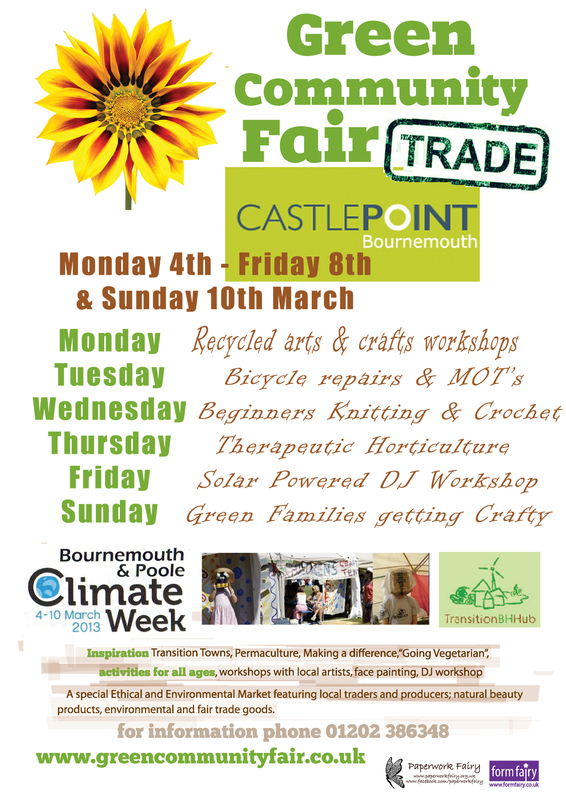 Another example of a Transition initiative is The Slades Farm Community Garden and information on how people can get involved with these projects was at Green Community Fair ‘Trade’ as part of the programme for activities and attractions during Climate Week. 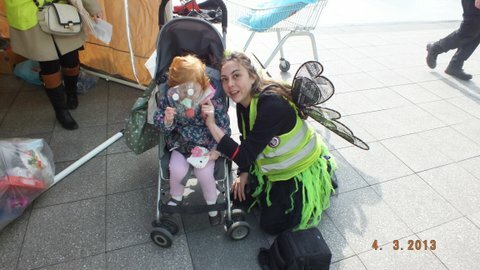 The hugely popular free event Bournemouth Family Festival took place on Thursday 25 July 2014 from 10am to 4pm at Meyrick Park and was back for a fourth year. 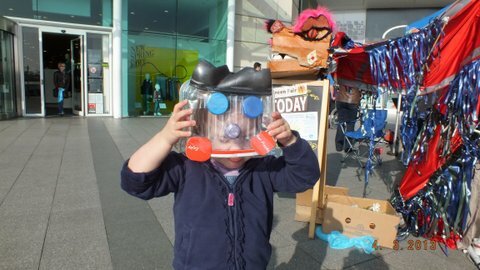 Showcasing what Bournemouth has to offer, it gives children, young people and adults the opportunity to take part in a variety of fun and interactive activities. 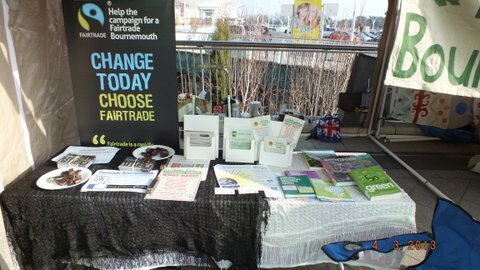 Navitus Bay is one of the three main sponsors for 2013 Green fair events and their exhibition offering information about the proposed Navitus Bay Wind Park, was alongside other inspirational and informative displays from local and national charities, campaigns and groups.